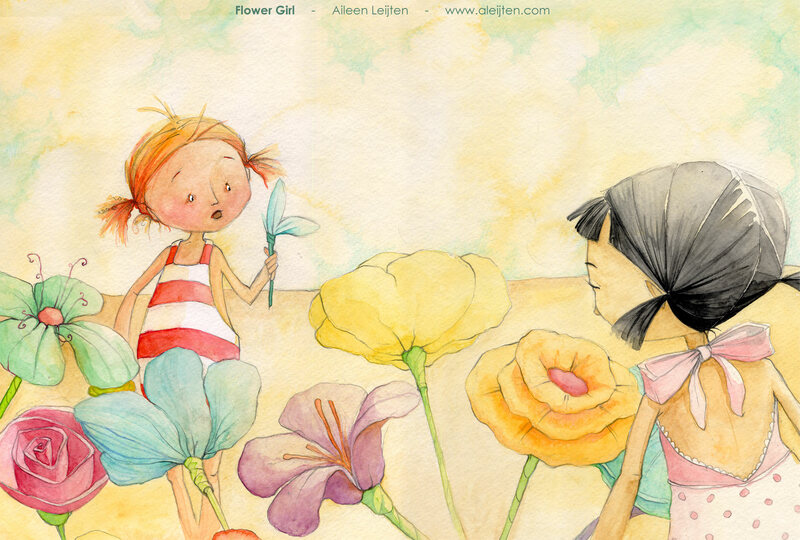 Flower Girl is based on the old Belgian tradition of children making paper flowers on the beach and selling them. Instead of currency sea shells are used. This was one of my favorite things to do as a child in the summer. 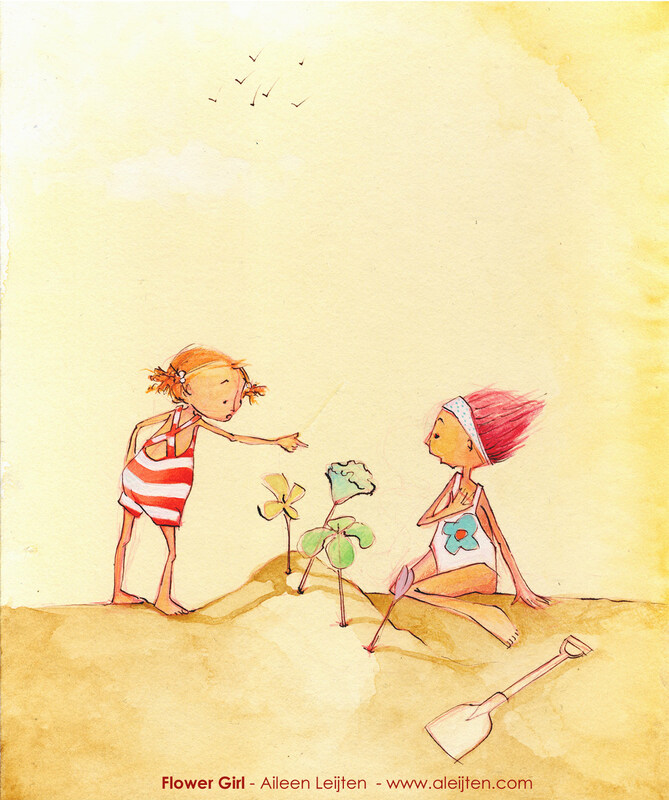 Even now when I go visit Belgium in the summer, I make point of spending a day at the beach, making paper flowers and to enjoy seeing the children play this beautiful game.